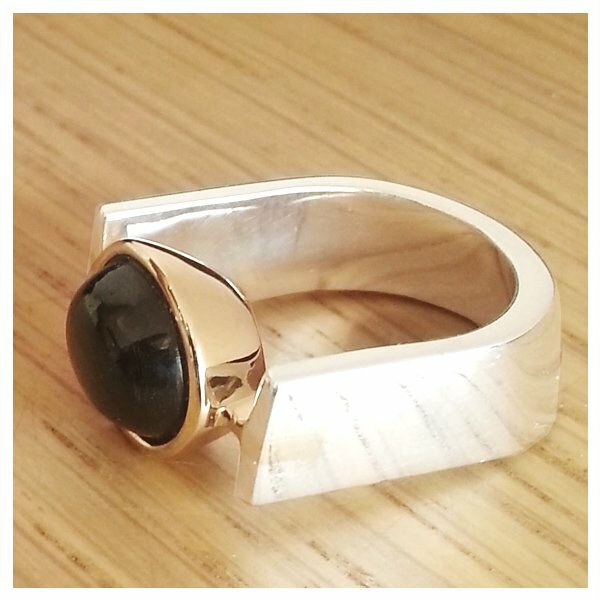 In this design, the black star sapphire is symbolic of what is held dear, as it was gifted to our client from her father. The concept is based on the idea of being grateful for what you have. The ring's form is designed as a support for the gemstone and celebrates that which is most precious. The two-tone yellow gold and silver represents our client's mix of Australian and New Zealand heritage. The ring shank is slightly angled so it follows the natural contours of the middle finger. Do you have a loose stone or jewellery piece you would like to remodel?